Stop with the 140 characters! Melania Trump fully supports her husband, Donald Trump, and his White House aspirations. But his social media presence? Not so much. 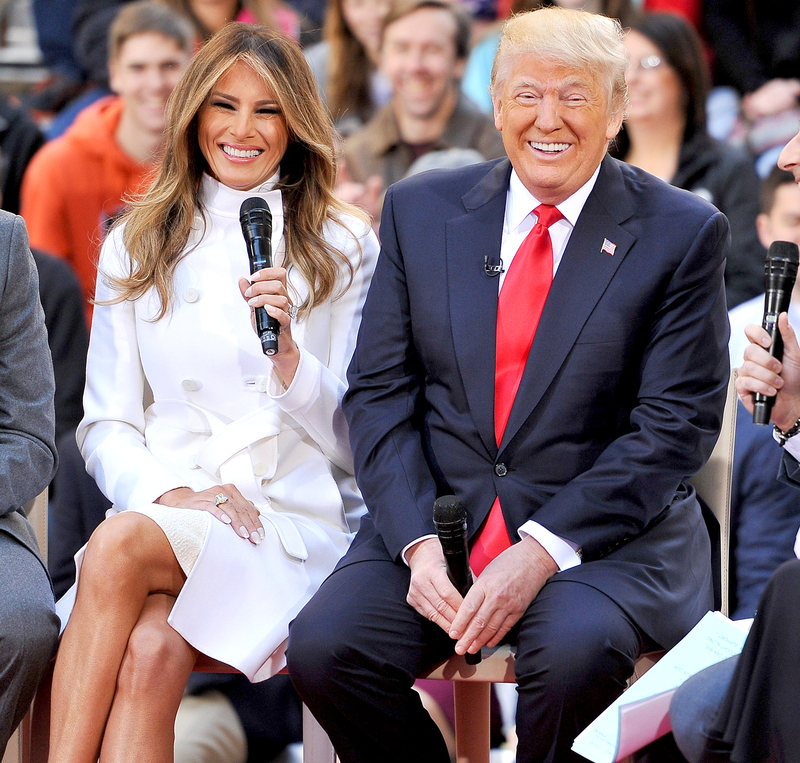 The former model joked about Donald&apos;s tweeting when they appeared on the Today show on Thursday, April 21. "Every wife wants to answer this question! What&apos;s the one habit you&apos;d wish he&apos;d give up?" Today cohost Savannah Guthrie asked. "Let&apos;s see — the tweeting," Melania, 45, said, laughing. Donald, 69, has posted seemingly countless controversial tweets throughout the 2016 election. Among his offenses have been below-the-belt slams of FOX News&apos; Megyn Kelly, Republican opponent Ted Cruz and his wife, Heidi Cruz, Carly Fiorina, Mitt Romney, Jeb Bush and Democratic presidential hopeful Hillary Clinton. He&apos;s also posted about President Barack Obama. "Interesting how President Obama so haltingly said I &apos;would never be president&apos; – This from perhaps the worst president in U.S. history!" he wrote in February. Recently, his bizarre 2012 tweet about exes Robert Pattinson and Kristen Stewart also resurfaced. "Robert Pattinson should not take back Kristen Stewart. She cheated on him like a dog & will do it again–just watch. He can do much better! Robert I&apos;m getting a lot of heat for saying you should dump Kristen- but I&apos;m right. If you saw the Miss Universe girls you would reconsider," he wrote. 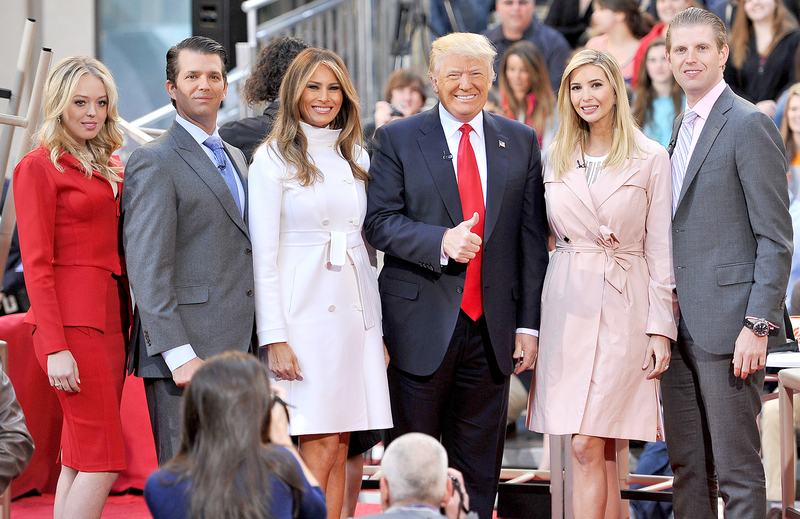 Donald and Melania were also joined by Donald&apos;s grown children Donald Jr., Eric, Ivanka and Tiffany for the sit-down interview. The family spoke highly of the former Celebrity Apprentice host, and Melania recalled stating that Donald would win if he ran for president. Donald admitted that he had his doubts in the beginning. "I&apos;m not so sure. She believed it. Me, I&apos;m not so sure," he told Guthrie and Matt Lauer. "I had confidence. I know the people of the country and they want to see things happen, and honestly, they want to see things happen quickly." And Ivanka, 34, believes that her father will do just that. "I think for me, seeing the actual rallies and seeing him interact with people all over the country has been the most amazing thing because obviously now we see it materializing in the actual votes," the mom of three said on Thursday. "I&apos;ve watched him inspire thousands of executives over the years as a leader of a large company, but to now see him to do it on a much larger stage and in a much larger capacity is remarkable … I think he values our advice all equally, but I tend not to provide my advice on topics political like that. I think his instincts are incredible." Watch the family&apos;s interview in the video above!